awareness and for triggering empowering 'states' of consciousness. ​when you most need it. certainty, gratitude and fulfillment-- at will." *Note the medallion is gold-plated on silver base. When, you are upset and want to get into a powerful-state. When, you want clarity for a big (or small) decision. When, you want to visualize your future, and get insights​about how to 'get there'. When, you want to be inspired about your future. A direct order to yourself: "TAKE CHARGE (your name)!" Your Personal Mission Statement (refer to www.alkistis.net/e_learning), for example, " I am here to serve people to achieve their highest potential." Any other empowering 'maxim' or 'affirmation' that empowers you! As you press your Golden Medallion® and repeat one of these phrases, take deep, diaphragmatic breaths. You should feel your state changing within the first 3 breaths. You will begin to notice yourself filling up with a positive "Force" or "Flow". Now, in this empowered state, you can 'handle' the situation better! (Practice makes perfect). 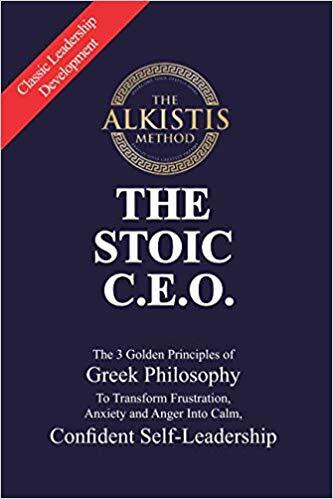 For further details read your free, complimentary book, "TAKE CHARGE " The 3 Golden Principles of Greek Philosophy", that comes with these amazing and valuable complimentary bonuses (see below). The Golden Medallion ​by ALKISTIS® and receive 2 fabulous bonuses!